Anadendrum microstachyum (de Vriese & Miq.) Backer & Alderw. This species is accepted, and its native range is SE. China, Thailand to Central Malesia. Anadendrum malaianum Backer & Alderw. 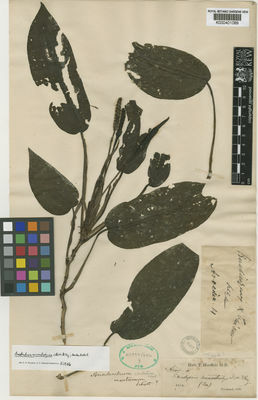 Pothos monopetalus Reinw. ex Miq. Scindapsus microstachyus de Vriese & Miq.